This week Adam and Bryon discuss the term POC meaning Persons/People of Color. Then they play some highly controversial audio from 1986. 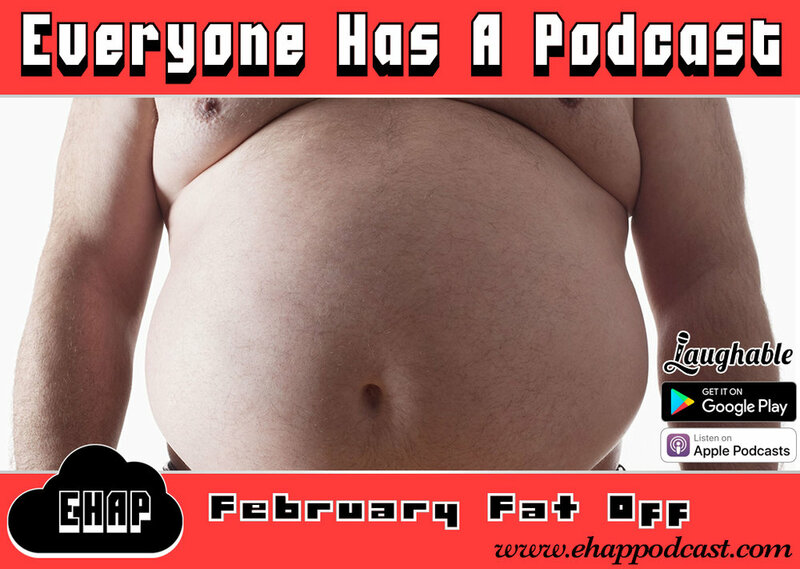 In the second half, Bryon tells a harrowing tale involving a first responder, and then the two discuss the February Fat Off. We hope you’ve enjoyed the show! Everyone Has A Podcast is an independent comedy podcast based out of Alberta, Canada. The show is hosted by Adam and Bryon. Subscribe on Apple Podcasts, Google Play, Stitcher, or Laughable so you never miss a show! If you want to stay connected with Adam and Bryon you can like our Facebook page www.facebook.com/ehappodcast. If you want to engage with us on Facebook, feel free to join our Facebook group www.facebook.com/groups/ehappodcast. You can also follow us on Twitter and Instagram @ehappodcast. Feel free to checkout our website www.ehappodcast.com seeing as how you’re becoming mildly obsessed with us. You can contact Adam and Bryon via email at ehappodcast@gmail.com. If you want to leave us a voicemail to play on the show, call 1-508-ZEN-EHAP (1-508-936-3427). If you feel like supporting the show, you can buy a t-shirt from our Teepublic store at www.ehappodcast.com/store. Created by Adam Boutilier using Logic Pro. Any music used in the ‘Chris Pick’ segment is for entertainment and educational purposes only. All works belong to their original owners and are used solely for the promotion of the artists. If you enjoy the music used in this segment we strongly encourage you to purchase it and support the artists. All music used in this show has been purchased digitally from iTunes prior to use.